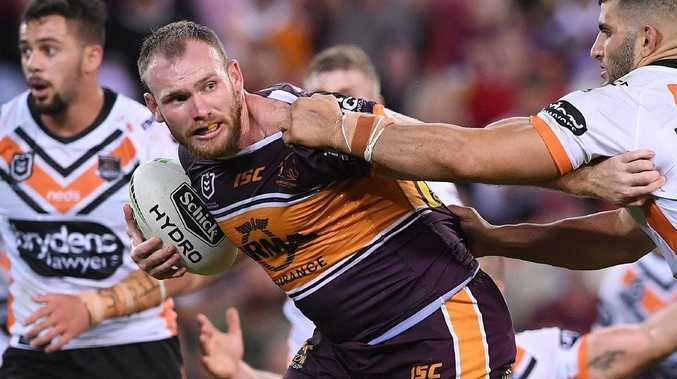 THE embattled Broncos have been dealt another blow with chief enforcer Matt Lodge joining star centre James Roberts on the sidelines for Sunday's clash with the Raiders. Brisbane's hopes of improving a dismal 1-4 start to the season suffered a fresh setback after Lodge was not named in the Broncos' 21-man squad for the daunting round-six road trip to GIO Stadium. Lodge had one of his worst games for the Broncos in last week's 22-16 loss to the Tigers, dropping three balls in an error-riddled display at Suncorp Stadium, but the hulking prop has not been dropped by coach Anthony Seibold. 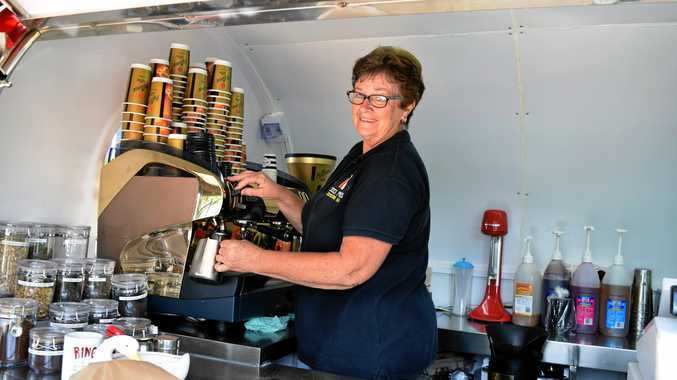 Instead, Brisbane's front-row spearhead suffered a knock to his throat in the heartbreaking Tigers defeat which prevented Lodge doing contact work at Broncos training on Monday. The absence of the 117kg Lodge is a headache Seibold can do without as the under-pressure rookie Broncos coach attempts to plot a Green Machine boilover with a posse of young forwards. Lodge is the only change to the Brisbane team beaten again last week with Seibold refusing to wield the axe with besieged halves Anthony Milford and Kodi Nikorima, who were criticised by playmaking legends Johnathan Thurston and Andrew Johns. The duo came under fire for failing to orchestrate a match-winning field goal against the Tigers but Seibold is backing the Milford-Nikorima alliance to snap Brisbane's three-match losing streak. Skipper Darius Boyd remains at fullback, while boom back-rower David Fifita was named at lock as he prepares to operate as a middle forward with props Payne Haas and Joe Ofahengaue. The promotion of Fifita, who started off the bench last week, opens the door for Gehamat Shibasaki to be deployed in the No.14 utility role against the Raiders, who are flying high in the top four. Rookie trio Jaydn Su'A, Tom Flegler and Pat Carrigan retain their spots on the bench after working hard off interchange against the Tigers. While Brisbane's No.1 centre, Roberts, has not been named in the top 17, the NSW Origin star may yet to be a late inclusion depending on his progress in the coming days. Roberts, who has been battling a long-term Achilles injury, is expected to return to training on Thursday after spending the past fortnight working overtime to rehab an ailment that has plagued him for 18 months. 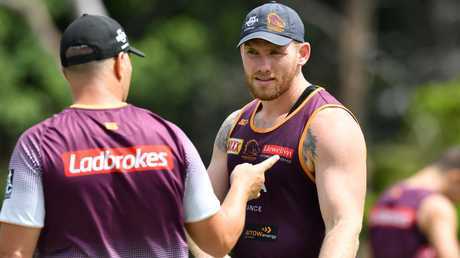 If Roberts is overlooked for the trip to Canberra, Brisbane's fastest player will be hopeful of being fit for the Broncos' round-seven clash against Cronulla at Suncorp Stadium on Saturday week. Brisbane winger Jamayne Isaako is confident the Broncos can hit back against the Raiders. "It has been a tough few weeks for the boys and the club not being able to string a win together," he said. "But I think collectively as a team we are heading in the right direction … we need to play to our strengths."